Are you on the lookout for some exciting online casino games? If yes, then look no further, you have just come to the right place. We have an array of exciting games ranging from online slots to live casino games like Blackjack, Roulette, and Video Poker. What makes it even more exciting for you is that you can now enjoy world-class gaming on your mobiles from your comfort zones, hassle-free. To ensure that you have an exciting and engaging time at Sparkle Slots, we have optimized our website to work smoothly on all mobile platforms and have created an extremely user-friendly interface for our players’ convenience. With majority of online casino players moving to mobile platforms, we have taken care of this in the best possible manner. Our portal is fully compatible across all mobile platforms and the user can enjoy their online casino games on their mobile phones at their convenience. Whether it is online slots or a table game such as Blackjack you can use our custom designed, easy-to-use interface and engage in your favourite choice of games online. Not only can you enjoy mobile casino games but also, we have a host of other casino games online loaded for you. 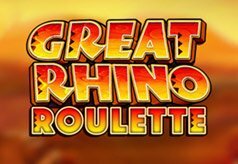 Try your hand at playing Roulette, Blackjack, online Scratch Cards and test your fortunes at our live casino games as well. With such a plethora of options at your disposal, we will ensure that you won’t ever have a dull moment at Sparkle Slots! New players at our website stand to get an amazing welcome bonus which can go up to £400. Apart from this exciting welcome offer, we also have some great promotions running on many of our online slots games. We also have a VIP plan with slabs from bronze to diamond where you can reap exclusive benefits and enjoy your gaming with us.